Address: Gangai amman koil street Dharmaraj boopathi nagar vadakkupattu medavakkam chennai, South, Medavakkam, Chennai, Tamil Nadu, India. 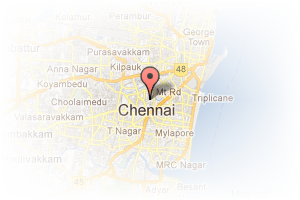 This Broker Profile page for "Sri Krishna Homes" has been created by PropertyWala.com. 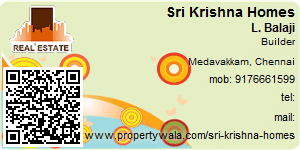 "Sri Krishna Homes" is not endorsed by or affiliated with PropertyWala.com. For questions regarding Broker Profiles on PropertyWala.com please contact us.